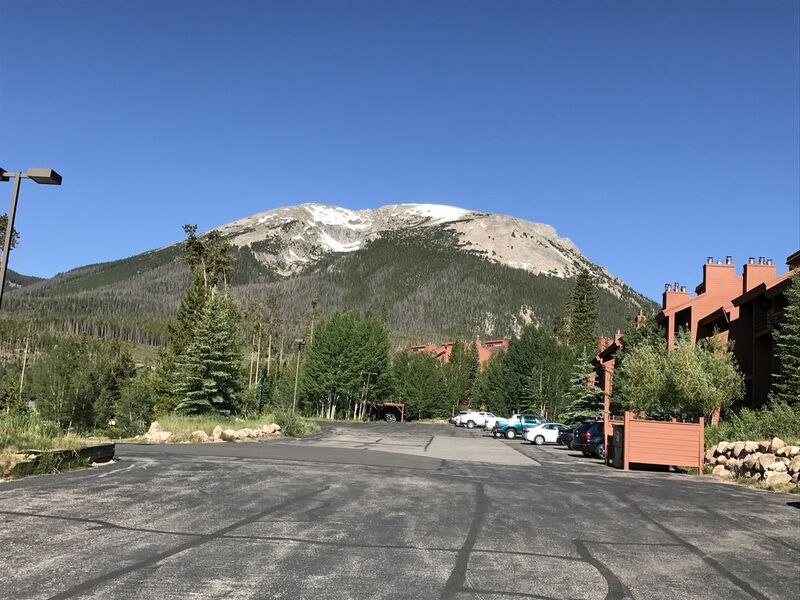 This deluxe two bedroom/two full bath Timber Ridge condo is nestled alongside the Arapahoe National Forest at the very top of the Wildernest development area in Silverthorne, Colorado with spectacular views of Buffalo Mountain and the Gore Range. Wildernest is ideally situated within 15-30 minutes of seven major Colorado ski areas including Arapahoe Basin, Beaver Creek, Breckenridge, Copper Mountain, Keystone, Loveland, and Vail. In addition to downhill skiing, there are miles of cross country ski, snow shoe and hiking trails just 1/4 mile from the complex. Summit County also offers great Spring/Summer/Fall recreation with biking, hiking, golfing, rafting, water skiing, sail boating, fishing and much more. For the shoppers in the family, the popular Silverthorne Factory Outlets are just minutes away. All guests have full use of the beautiful Timber Ridge clubhouse which includes two hot tubs, a swimming pool, sauna, racketball court, lounge area, and game facilities. Coin operated washers are located in the clubhouse. Coin operated dryers are located in the clubhouse. Parking directly in front of unit. Free wireless internet service provided in unit and also in club house. Must provide your own wireless equipped device. Flat screen LCD TV with HD satellite service. Heated indoor pool in the clubhouse.